Jen and Brandon were married in March in Harrisburg, Pennsylvania at St. Margaret Mary's church. 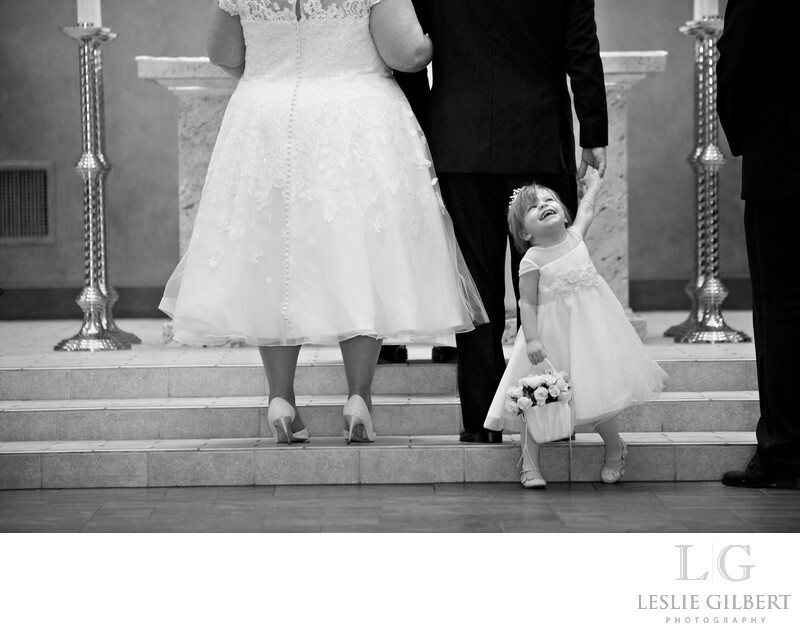 Their daughter Molly was the cutest flower girl ever! Before the wedding, Jen accidentally broke the heel of her shoe and we tried everything to fix it. I can imagine how hard it was to walk down the aisle and stand the whole time off balance. After the ceremony, their reception was held at Hollywood Casino. What a cool wedding venue overlooking the racetrack. We were able to photograph Jen and Brandon near the casino floor but not without being chased by security! Location: Hollywood Casino at Penn National Race Course 777 Hollywood Blvd Grantville, PA 17028.